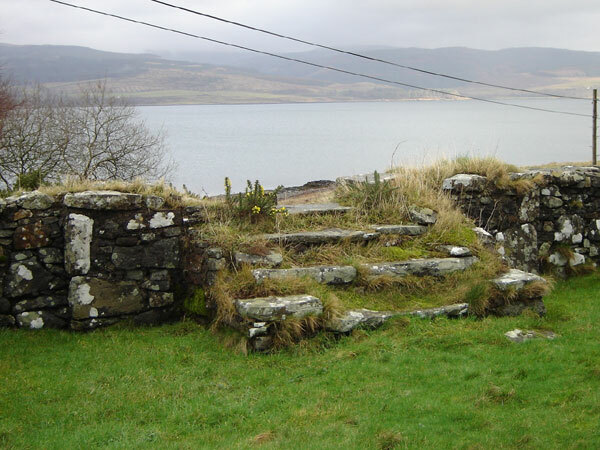 This ruined, pre-Reformation Chapel lies 3 km south of Salen on the road to Craignure. 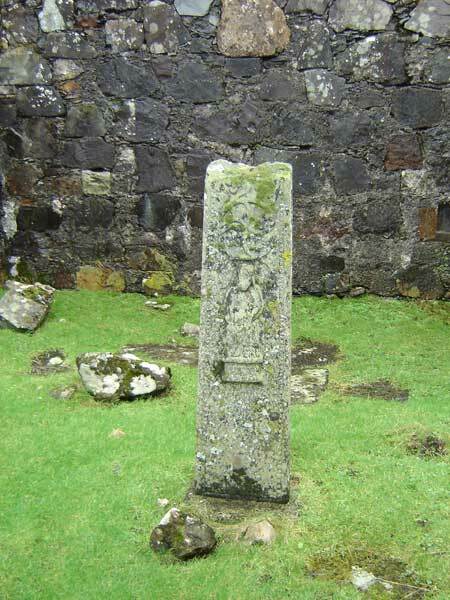 It stands on the seaward side of the road in the old burial ground, which is still used. 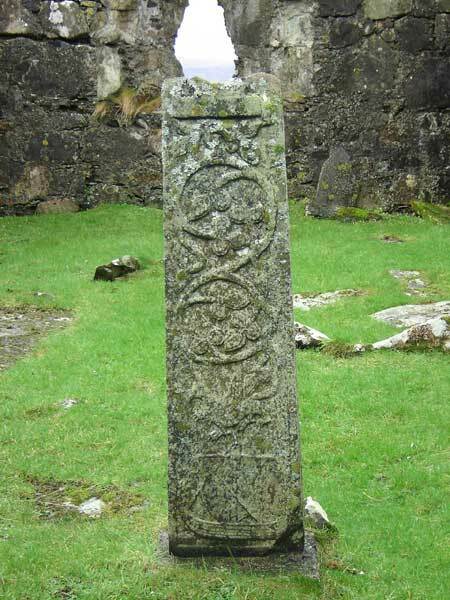 It is attributed to the late 12th/early 13th century and is contemporary with Kilvickeon and Inch Kenneth. It has been a long-standing belief locally that friendly fairies used to live here and would perform small magical tasks for people who left requests. However, when someone left a small piece of wood and asked that it be transformed into a ship’s mast, the fairies moved out and have never returned. It was never finished because three lairds in succession who were building the roof died before the roof could be put on. It couldn’t be built at all, because each day when the workmen returned to their work, they found the previous day’s building undone. 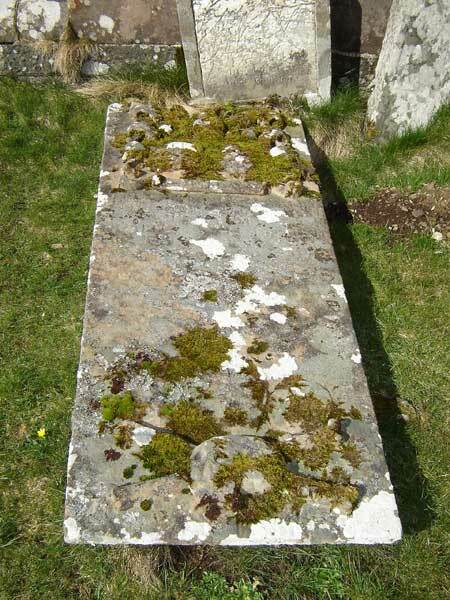 There is a very similar legend about St Oran’s Chapel on Iona. It is perhaps possible that Pennygown borrowed it? However, if there ever was a roof it has now disappeared, although the walls are in a good state of preservation. The chapel is almost 40ft long and 17 ft wide, with three narrow windows with carved heads and a door on the north-west. 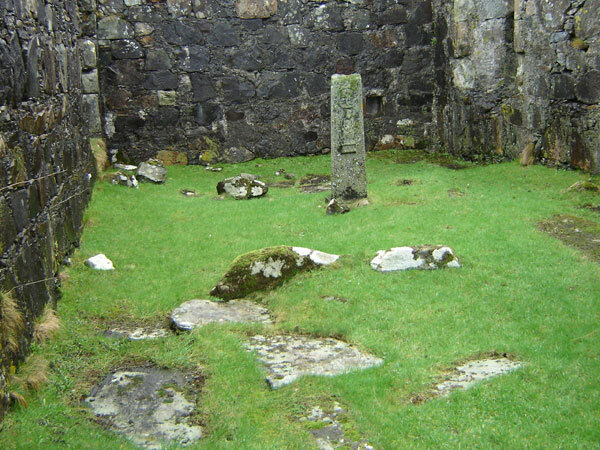 At the east end of the interior stands the shaft of celtic cross, 1.3 m high. The lower portion of the shaft is carved with the usual island ship with raised stem and stern, and a tall mast with a long cross-yard at its head. The upper part of shaft has a foliated design with leaves like clover. On the other side are the Virgin and Child, and spreading foliage. 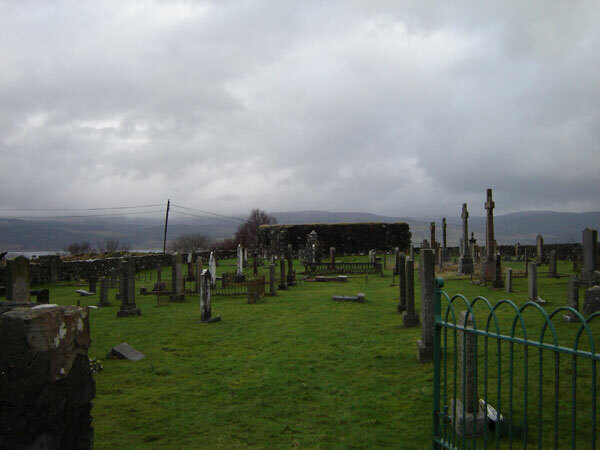 The Burial ground has several stones with effigies. 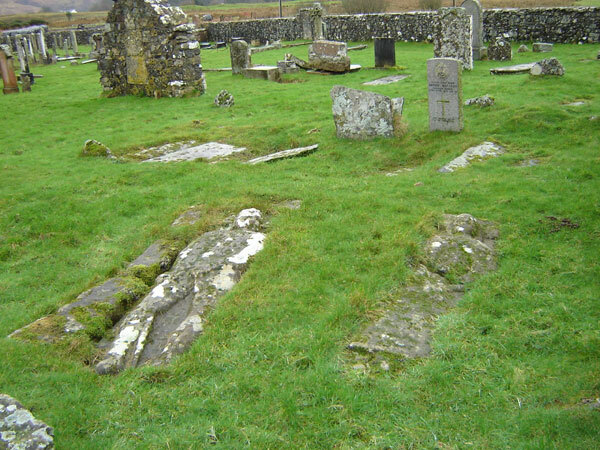 Just outside the chapel walls lie two flat burial slabs of great interest. They are composed of sandstone, on which the effigies of a knight and a lady are carved in high relief. The knight has his head on a pillow and his right hand on the pommel of his sheathed sword, whilst his left hand holds a dirk along his left thigh. His helmet is the only part of his dress which shows character. The lady is simply dressed in a gown, with her hands crossed and wearing a simple headdress without ornament. The Knight is Allan son of Hector, a man of gigantic frame and powerful strength. To him is ascribed the saying: ‘If my brother were with me I would face the devil himself’.